Back at it again with our QR codes! Our school is lucky to have at least one classroom set worth of ipads, so I figure we might as well make use of them!! We have limited access to apps to put on the iPads, BUT we do have a QR code reader and generator that I couldn't be more happy about!! 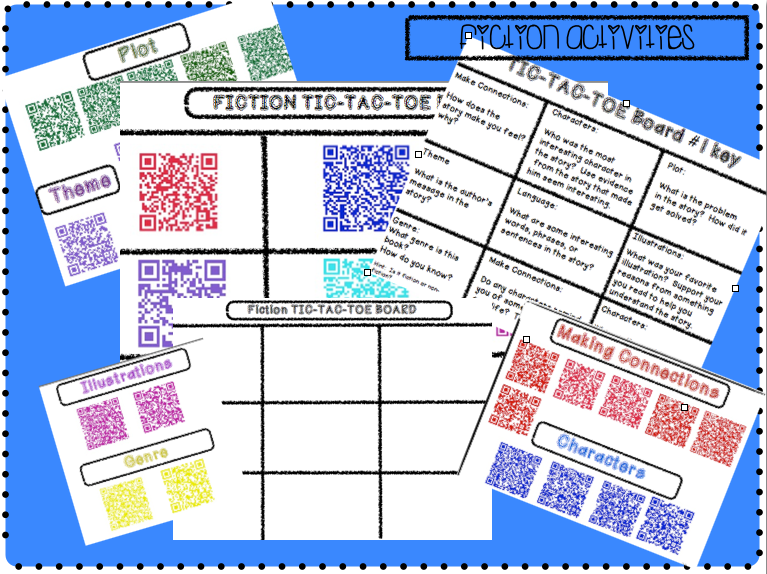 A few months back I posted about higher level comprehension questions using a TIC-TAC-TOE board....I have decided to revamp that product and add QR codes! This product includes both fiction and non-fiction generative comprehension questions that can pretty much be applicable to most books children are reading. This product includes everything from my orginal product + more!! Students had been reading the book "GRIZZLY BEARS" in guided reading this week and learned how to search for information about it's habitat, appearance, babies, food, and other interesting facts they learned. Once we completed the book I had them do an extension activity with the same book, Grizzly Bears, independently as one of their literacy stations. Students simply got to choose any 4 QR codes on the sheet, scan the QR code, read the comprehension question, and then write their answer on the recording sheet. I did give students flexibility that if one question didn't quite fit for the book they were using, then to try the next QR code. Students worked hard independently to stretch their thinking and think more deeply about how non-fiction text features help them as readers. You may notice that their answers might not fit the question exactly, but I was proud that they give it their all! ACTIVITY #1-TIC-TAC-TOE with pre-made QR Codes (Students need to get 3 in a row, answer the comprehension question from the QR Code. Then record their answer on a loose leaf piece of paper, reader's response notebook, or choose 1 of the recording sheets (I have provided 3 different kinds) from this package. -Students need to get 3 in a row, answer the comprehension question from the QR Code. 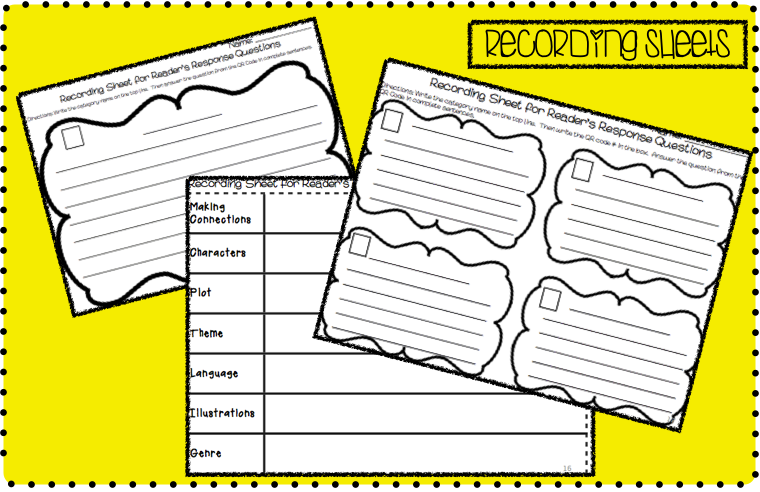 Then record their answers using a loose leaf piece of paper, reader's response notebook, or choose 1 of the recording sheets (I have provided 3 different kinds) from this package. ACTIVITY #3-Place all of the QR codes in a bin/basket and decide how many comprehension questions you want your students to answer (Encourage them to pick different colors to hit various comprehension skills). Then record their answers using a loose leaf piece of paper, reader's response notebook, or choose 1 of the recording sheets (I have provided 3 different kinds) from this package. 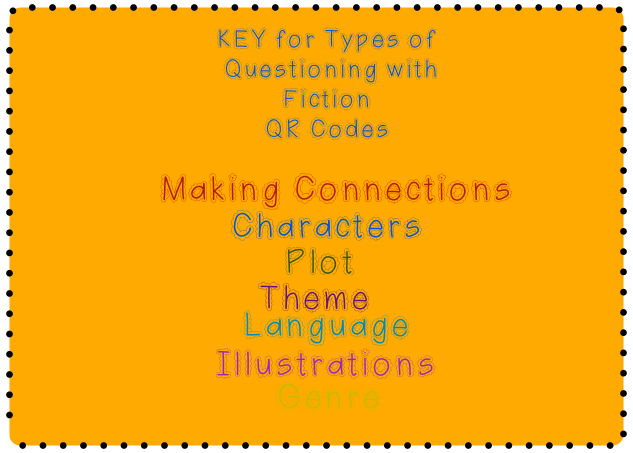 -Number off each type of comprehension skill (1-Making Connections (red QR Code), 2-Characters (blue QR code), 3-Plot (green QR code), etc). Have students roll a dice to figure out which type of question they will answer. Choose a desired number of questions you would like them to answer. Then record their answers using a loose leaf piece of paper, reader's response notebook, or choose 1 of the recording sheets (I have provided 3 different kinds) from this package. Ex: If a student rolls a 3, then the student will search the pile for a GREEN QR code since it is labeled #3. These are great activities that you can use for independent reading responses, additional guided reading activities, or do whole class through a read aloud. If questions don't seem to be a good fit for the book, choose another question! I hope you find these activities engaging as well as help your student deepen their comprehension! 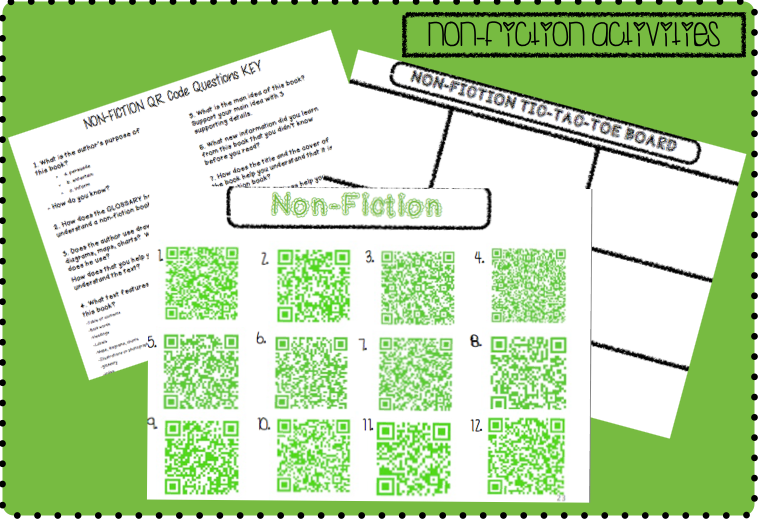 Click here to get your Non-Fiction QR Code freebie! Click here to get the complete package of Fiction/Non-Fiction QRs **If you like this product be sure to follow my TpT store for new & updated products in the future!! 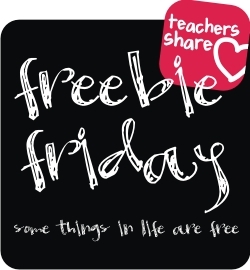 ** Thanks for stopping by for freebie Friday!! This is awesome! Thank you for the freebie! I just added the full package to my cart on TPT! Thanks for stopping by!! I am glad to hear you like this package! I would love to hear how it worked in your classroom! I can't wait to use this in my classroom! What an engaging activity! Comprehension can get so repetitious for the students. I can't wait to watch them "play" with these activities. Thank you for the awesome giveaway!